SPSS is a world-leading toolset for statistical analysis, a part of IBM’s business analytics offering and a natural extension to any organisation’s Business Intelligence environment. IBM® SPSS® Statistics and its modules, the most widely used suite of statistical software in the world. Put the power of advanced statistical analysis in your hands to understand data, identify trends and produce accurate forecasts. IBM® SPSS® Statistics Base makes the complete analytical process easy, using a broad range of procedures and techniques. Including IBM® SPSS® Modeler Professional for data mining and IBM® SPSS® Modeler Premium for text analytics, both of which are consistently positioned as leaders in the analytics space. Powerful model-building, evaluation and automation capabilities help companies optimise customer acquisition, retention and sales. Including both the platform and the delivery products needed to bridge the gap between analysis and action, this family includes IBM® SPSS® Collaboration and Deployment Services and IBM® SPSS® Decision Management. Integrate analytical results into your operations to improve business processes, predict outcomes and deliver results to decision makers across your organisation. To read more about the IBM SPSS product portfolio, click here [PDF, 12pp]. IBM is translating Predictive Analytics itself from the past to the future. 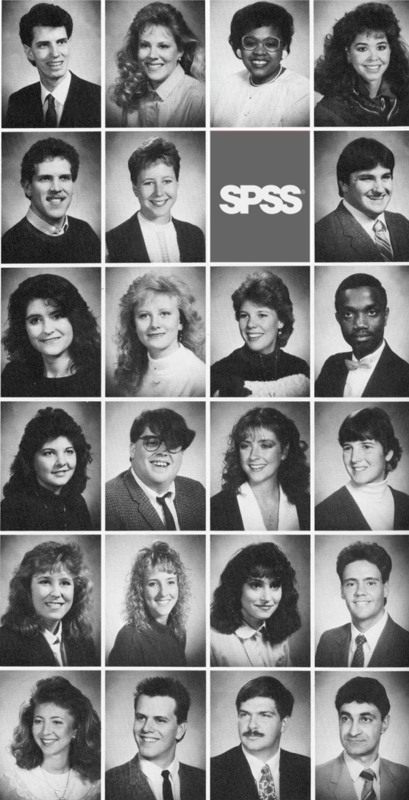 SPSS is still known as statistical software originally used in academia. Today this widely-applicable technology powers contemporary business products such as IBM Social Media Analytics, IBM Predictive Customer Intelligence and IBM Forward-Looking Business Intelligence. Find out how IBM Predictive Analytics can boost your organisation’s ability to achieve its goals; contact us, let us know when you would like us to call you or meet above our London office, in Searcys rooftop bar, 30 St Mary Axe.